This template showcases an exclusive food parlor with various dessert offerings, along with an ice cream menu. Likewise, you too can use this type of template on your digital screen . 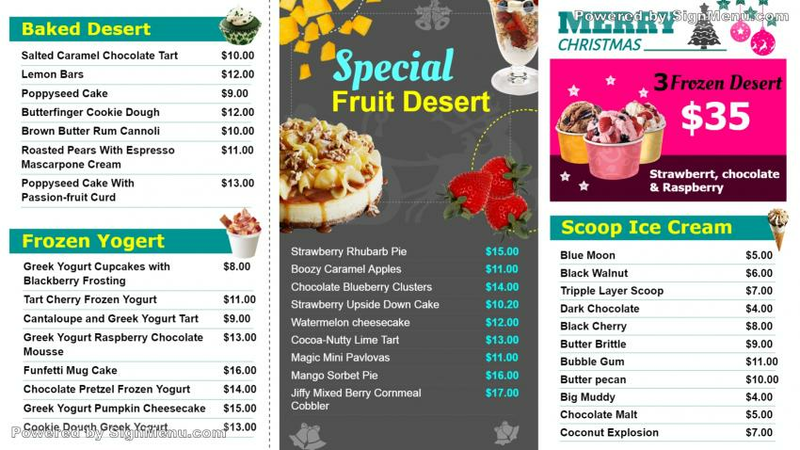 This point of purchase advertising method has being adapted by many dessert parlors across USA. Software technology has further enables you to update your menu content anytime, and from anywhere. This template is ready for download and use.